A notable addition to the cultural and artistic life of Addis! 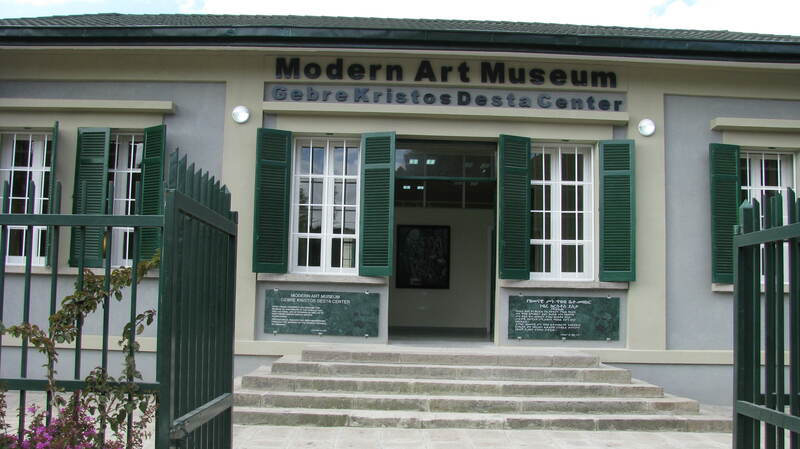 A renovated and expanded Modern Art Museum named after Gebre Kristos Desta, who lived and painted from 1932 to 1981, opened on Friday, October 10, 2008. 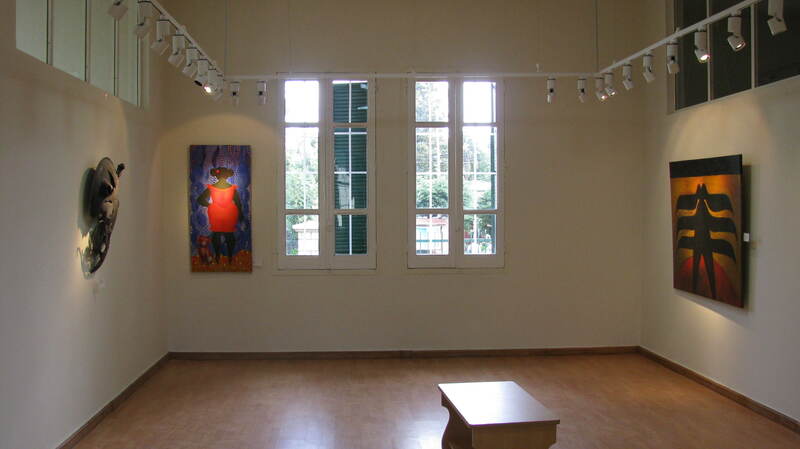 The museum, situated in the premise of the Faculty of the Business of the Addis Ababa University, is touted as the first of its kind in the city. The lavish exteriors and the interiors of the building are of architectural and historical importance in themselves. They provide a rich setting for collections that cover virtually every aspect of fine arts. The project couldn’t have been done without years of planning and massive support from various parties. It all started in 2005 when about 30 of Gebre Kristos’s works that had been deposited in Munich, Germany, where the artist lived from 1978 to 1980, made their way back to Ethiopia, entrusted in then inaugurated Gebre Kristos Desta Center. But the center, that was the spot for hosting exhibitions and other events of the German cultural Institute, couldn’t provide the space to hold and display all of the works, causing them to disappear from the public view. That got Prof. Andreas Eshete of the Addis Ababa University and other devotees of the artist thinking. They decided to find a new venue that could accommodate all of the artist’s works. This was how the dream transformed into reality. Not in a brand new building but in the restored former palace of Alga Werash Asfaw Wosen, close to the seat of the German Cultural institute, that had been serving as public administration department of the university. Ethiopian architect, Fasil Giorghis, known for restoring historic buildings, designed the new museum, which nearly doubled the space building. The 2 million Birr project was funded by the Federal Republic of Germany and the German Office in Addis Ababa. A note engraved on the front wall of the building has it that Gebre Kristos Desta Center Addis Ababa University has devoted this museum to contribute to the intellectual and cultural life of Ethiopia as well as to host Gebre Krists Desta’s artistic achievement. The collections are now housed in four magnificent rooms of the new museum. The promotional brochure explains that the permanent exhibition of Gebre Kriastos Desta works will play a key role in positioning the ground for modern and contemporary artistic discourses. One of the museum’s missions is creating a dialogue between the past and the present in an environment that is responsive to the issues of modern and contemporary art. As its inaugural presentation, the museum features 24 works of Gebre Kirstos Desta from the 30 holdings but there are also the works of his contemporaries and disciples like Skunder Boghossian, Abdruhman Sherif, Yohannes Gedamu,Tibebe Teffa, Behailu Bezabeh, Bekele Mekonen and Bisrat Shibabaw. This is a fitting tribute for an artist who is considered to be a touchstone for a generation of artists and a testimony for the growing appeal to his works. Gebre Kristos might not have enjoyed such a reception during in his lifetime, quite the contrary. Elisabeth Biasio wrote that Gebre Kristo’s non-figurative art was met with criticism when he held his first independent exhibition in Addis Ababa in 1962, the artist being accused of distancing himself from the traditional and experience of his people and of not speaking their language any more. Still abstract art isn’t everyone’s cup of tea and Gebre Kristo’s works are likely to leave some viewers scratching their heads, needing help deciphering what the artist had in mind. But today, there are more abstract painters with an interest in crossing the styles and the public is being increasingly exposed to the intricacies of modern paining. With the opening of this museum, it is a giant step in reaching a wider audience and bringing the artist and his works into contact with the new generation of ever more appreciative audience. Here is one of his poems with translation into English. 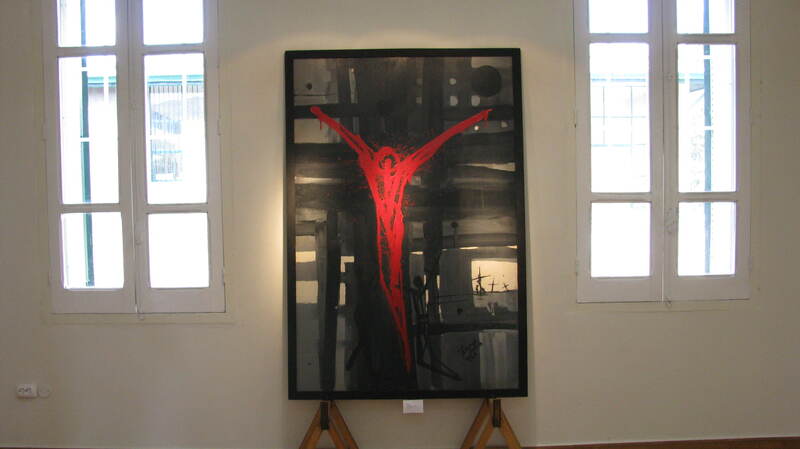 Je possède une huile sur toile de Skunder Boghossian, 81 x 139 cm, de la série Fertilité, datée 1963. Alex Skunder et moi étions amis à Paris, et j’ai acheté cette oeuvre dans une petite exposition en 1963 chez d’autres amis peintres (Patrick Bétaudier). Ce tableau était le meilleur de cette série. Je peux vous en faire parvenir uen photo. A qui puis-je le proposer? Merci pour votre réponse.